Once you’ve done your research and are ready to start buying parts for your new miniquad, the first thing you’ll need to do is figure out where you are going to buy your parts from. Buying stuff in the drone world is unlike any other industry because the margins are low and parts are often sourced from out of the country. This means that you will need to deal with stocking and shipping issues more than any other hobby. Also, the limited stocks that most vendors have will have as much of a say on what parts you actually end up purchasing. What retailer you finally end up choosing depends on a variety of factors, including how long you’re willing to wait, what kind of customer service you expect, and what payment methods you want to use. HobbyTown USA used to have stores in every major US city – many of them have closed lately. 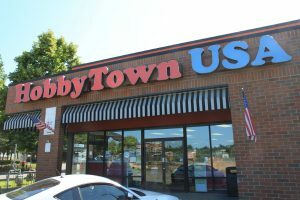 Local hobby shops, abbreviated “LHS” on many online forums, are unfortunately going the way of the dinosaur. Even in a big city like Los Angeles, only the biggest LHS shops are still around. Of the ones that do exist, prices are often inflated and the components offered are subpar. We do recommend you look around your area for a good LHS before you move on to online vendors: if you have one in your area that carries miniquad parts at decent prices, you should give them as much of your money as you can. Nothing beats being able to go buy a broken part on a Saturday afternoon and be able to get flying again on Sunday. This also saves you from having to keep a huge stock of spare parts. If you’re an impatient person like me, the first item on that list concerns you the most. It is the reason that, where possible, I will always buy from domestic retailers. Fortunately, most domestic online shops these days sell at extremely reasonable prices – occasionally even beating the direct-from-China prices during big sale events. I would say it definitely pays to shop around domestically where possible. 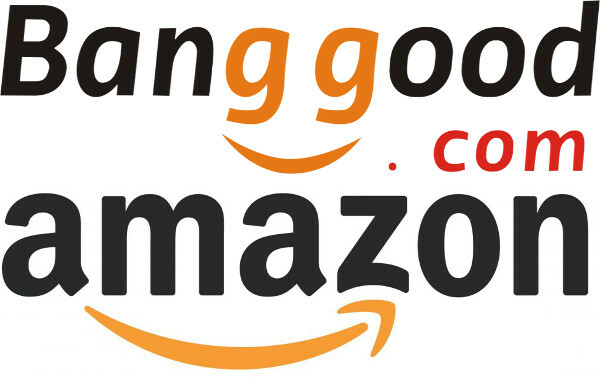 Some of the most popular places to buy hobbyist parts are “mass market distributors”, like Amazon, eBay, or Banggood. These online stores generally do not actually own a single warehouse company that stocks the parts, but rather a provide website through which manufacturers and retailers of all kinds can list and sell their wares. These sites free manufacturers from relying on the traditional retailer model, thereby allowing them to cut costs. They also can combine shipping costs for net savings from a wide network of retailers. What this means is you save money. However, it also means you are at the mercy of the individual retailers when it comes to customer service, honesty and shipping times. Just because you get one part in 2 days doesn’t mean it won’t take months to get another. As a result, I generally assume purchases made through mass market distributors will take 2-5 days longer to reach me than those made through a traditional retailer. Experience has proven this to be pretty accurate. I therefore judge the cost savings I make with this knowledge. I also am extra careful to do due diligence in researching the parts I buy, making sure others have bought the same part with success. Most scams you will find in the hobby world will come from these types of retailers, since they are not very tightly regulated for quality and do not have a name to uphold. One thing to note is regarding Amazon Prime. If you are a Prime member, and can find an item you are looking for sold from Prime at a reasonable price, you’re in luck: You’ll get it in two days or less with free shipping, just like all other Prime items. This is how I buy almost all of my tools and consumables. 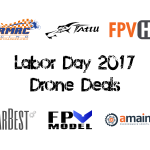 However, it is often pretty difficult to find decent miniquad components like frames, ESCs, or motors on Amazon. 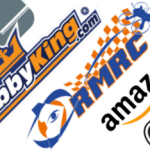 As tempting as it may be to buy all the parts for your miniquad from a single retailer, like HobbyKing – I would strongly advise you against it. The reason is that, in our experience, you will almost always have to compromise the quality of your build because items are either out of stock, or the retailer you choose simply does not carry the best quality components for every part on a miniquad. We simply have not yet found a retailer that sells every part we like and always keeps everything in stock. You should compile a list of parts you want before deciding on a retailer, then choose a set of retailers that will offer those parts, not the other way around. You will be much more pleased with your build. The exception to this is when you buy a kit with a pre-set list of parts, like the MQB ZMR250. Buying kits like these actually do make a lot of sense, both in the cost savings you get from packaging everything together, and the aftermarket support you will get from the vendor, being that they have vetted each part in the system and made sure it all works well together. Choosing a retailer that accepts a payment you are comfortable using is important. I know a lot of people have some hesitation with using or supporting PayPal, for instance. 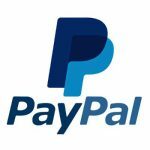 Unfortunately, many of the retailers in the hobby have embraced PayPal as their go-to payment system and do not even accept standard credit card payments. Before you get too invested in a retailer, make sure they will take your money in a preferred way. This information can often by found in a retailers “about” page, or can be found in our vendors page, if the retailer is listed there. Vesp and I love using Amazon payments, as it is more user friendly and allows payment via Amazon gift cards. We both hope to see more vendors accepting Amazon payments in the future and give those businesses who do accept it more of our business as a matter of course. 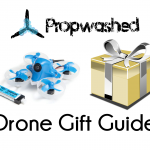 One of the projects we are going to be working on over the next few months here at Propwashed is to put together a “Vendor list”. Our goal is for this page to eventually list out all of the major online retailers in the hobby, giving statistics on average fulfillment (time to ship) times, accepted payment methods, and brief reviews. We also want to open this page up to the community to provide input. Hopefully it will serve as a useful reference when figuring out how to buy your parts from. Check back in the future.